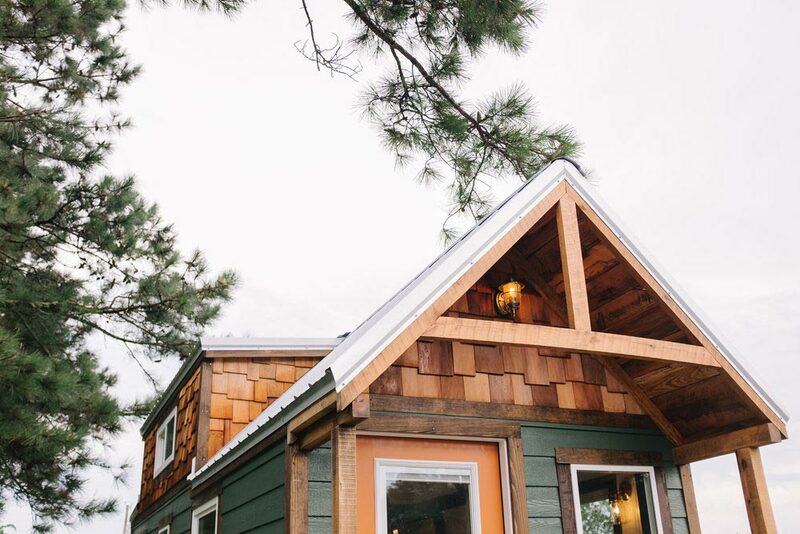 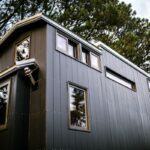 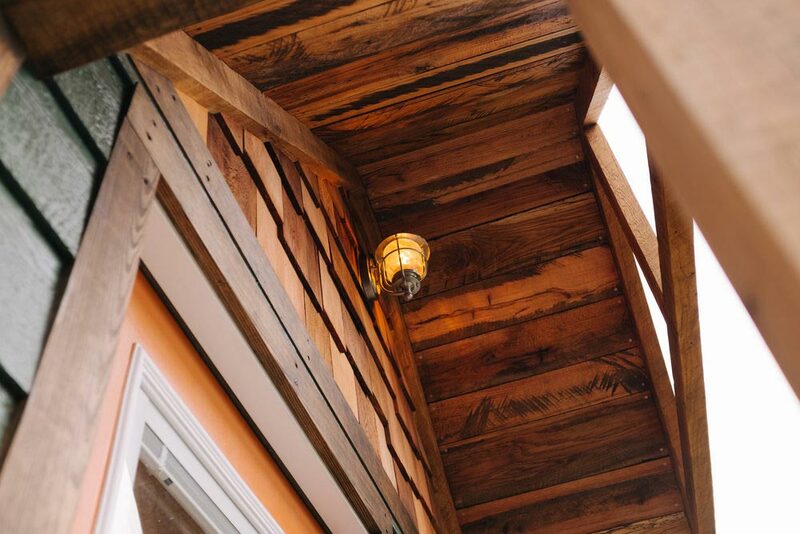 Based on their original bungalow, the Acadia by Wind River Tiny Homes features a traditional gable roof, large dormers, and a small front porch. 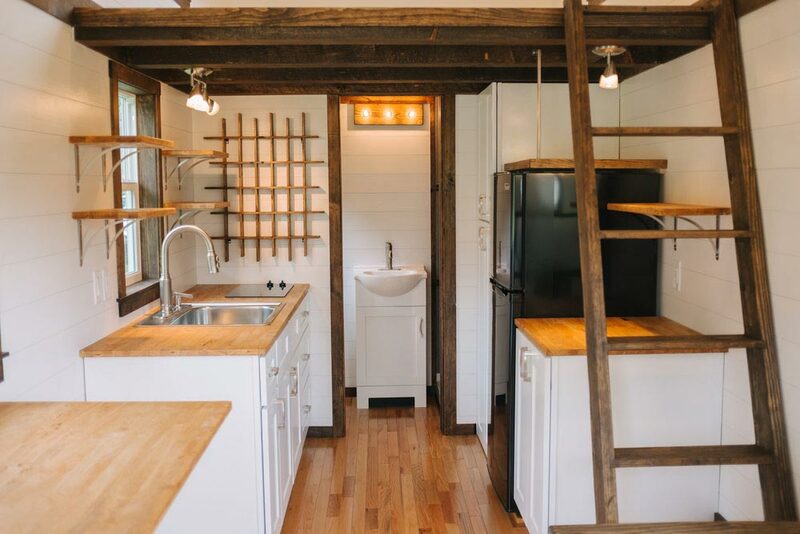 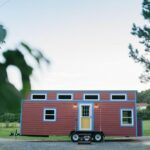 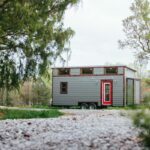 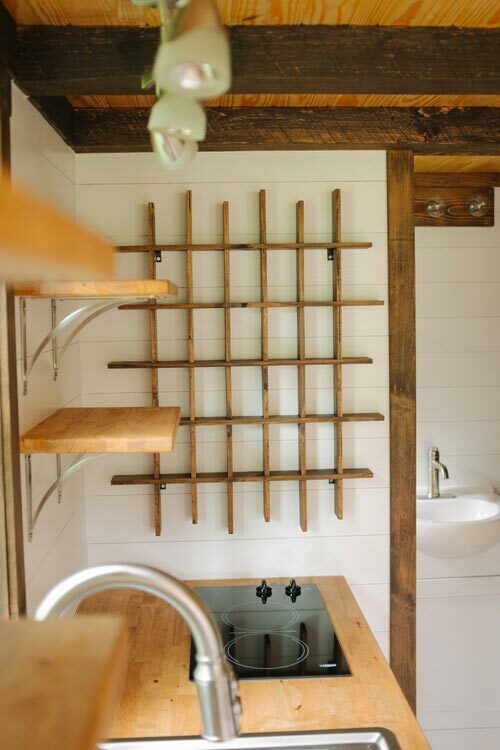 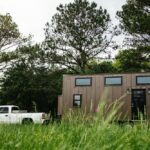 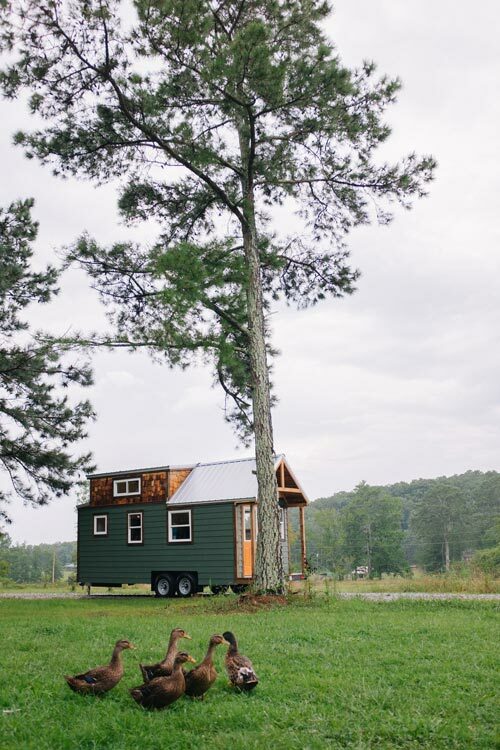 The 24′ tiny home gets its namesake and design inspiration from Acadia National Park. 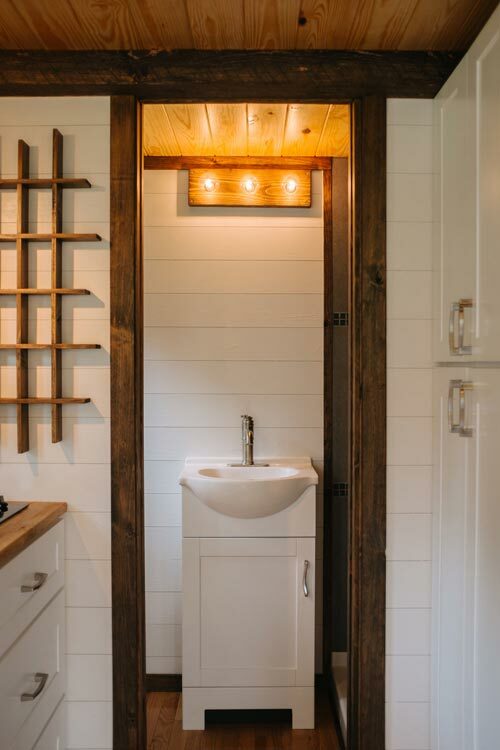 The modern/rustic interior has white shiplap walls and dark wood trim. 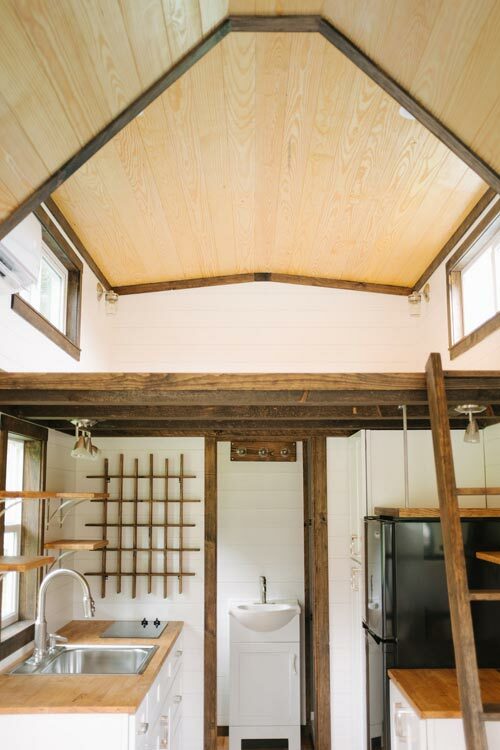 The flooring and ceiling have natural wood finishes. 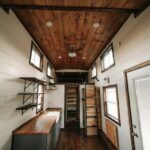 The kitchen is equipped with a two burner electric cooktop, apartment size refrigerator, full height pantry, and butcher block counters. 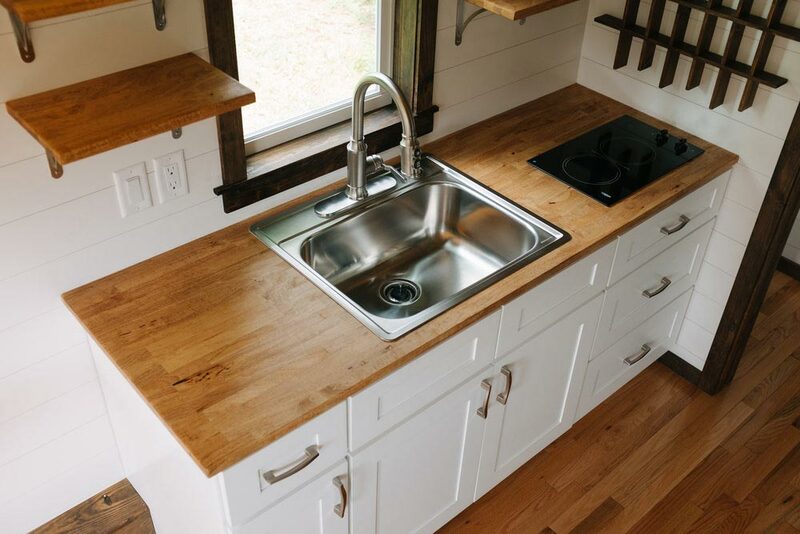 Next to the kitchen is a fold down table in front of a large window. 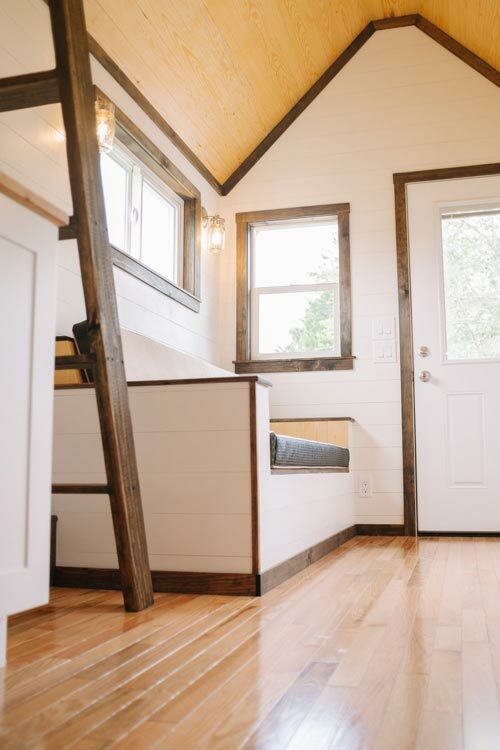 The double dormer bedroom loft is accessed by a ladder and has two large windows. 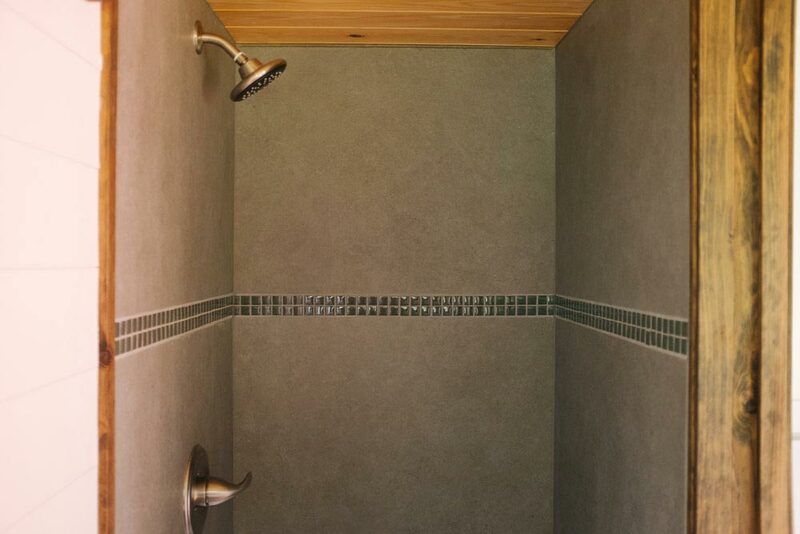 At the far end of the house is the bathroom with shower, vanity, and composting toilet. 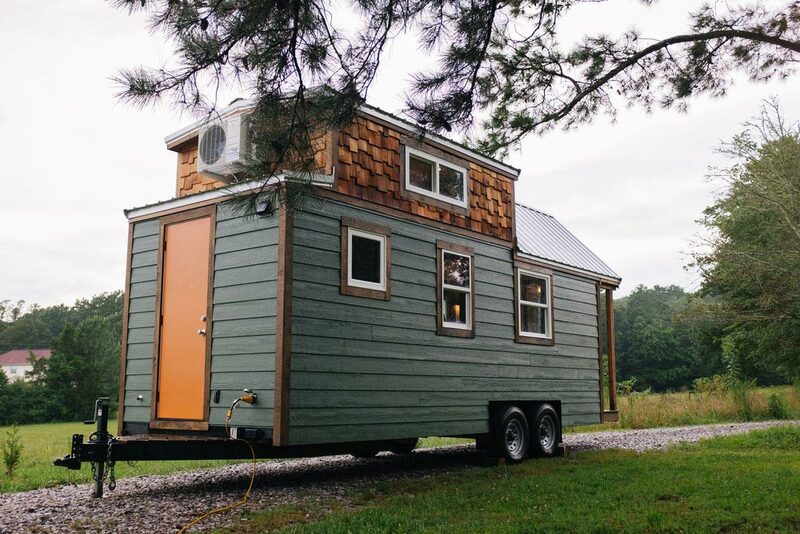 Over the hitch is a large exterior closet with room for the breaker box, electric tankless hot water heater, and outdoor gear. 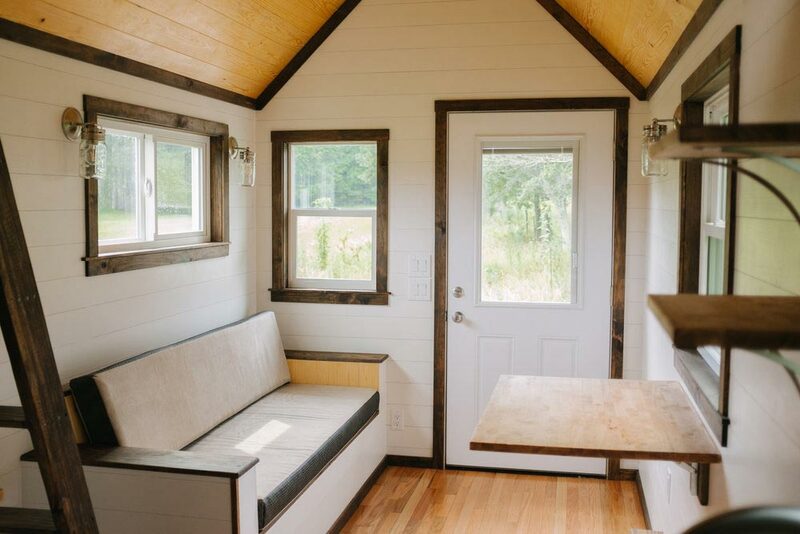 There’s even room for a bike! 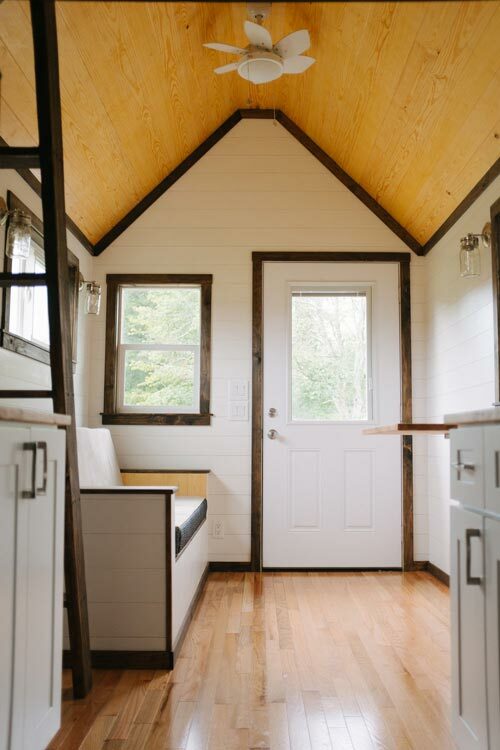 The Acadia is one of Wind River Tiny Homes’ most affordable models at $59,500. 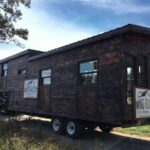 You can contact Wind River for more details. 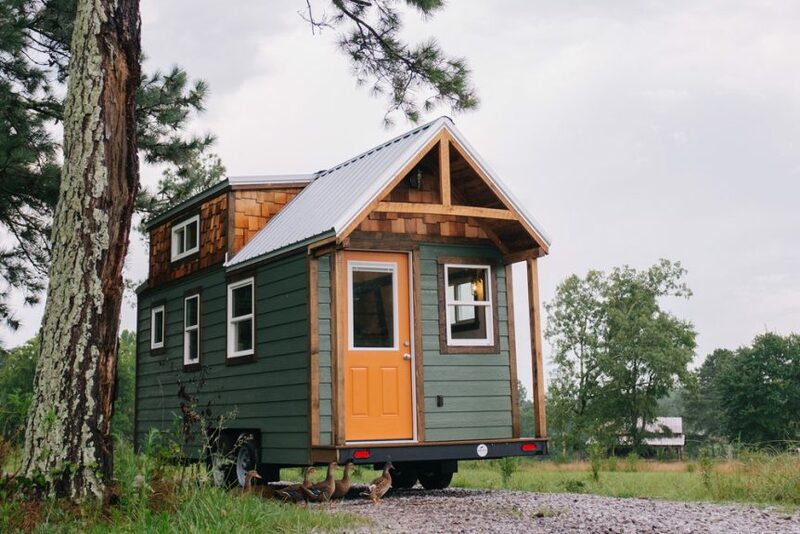 Also available from Wind River Tiny Homes: Noah, Silhouette, Acadia, Ironclad, Monocle, Phoenix, Nomad’s Nest, Wind River Bungalow, Triton, Mayflower, Rook, Chimera.